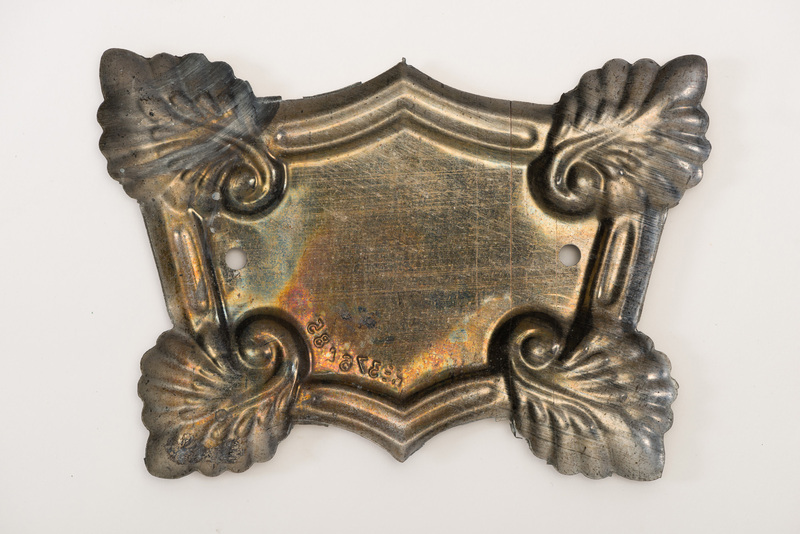 This backplate is ‘tin-dipped’ which refers to nickel-plated tin. Tin was one of the cheaper materials used at Newman Brothers. 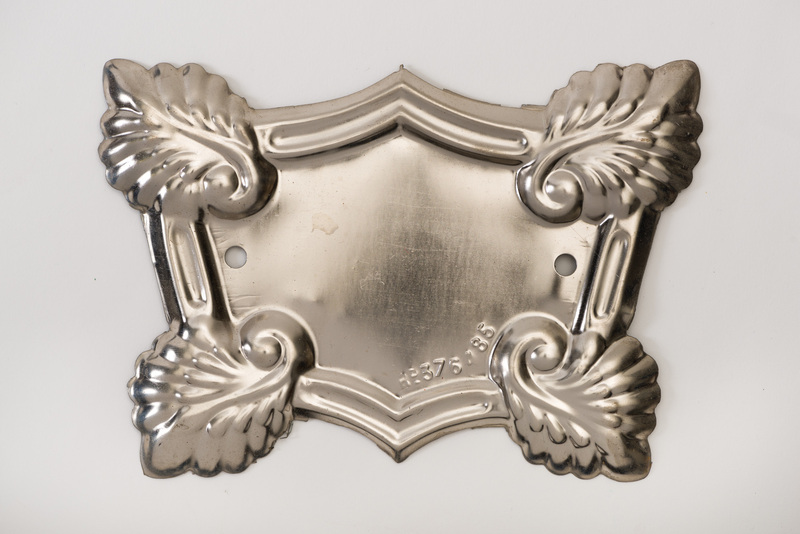 Backplates were not standard features of coffins, but instead offered a more ornamental finish, with the handle being placed over the backplate. The backplate shows an Art Nouveau influence. Art Nouveau designs were most popular between 1890 and 1910, and as shown here, was inspired by natural forms and structures, particularly the curved lines of plants and flowers. Like other forms of decorative art, coffin furniture was influences by the design movements of the day.